Our Fanzoj-designed double rifle is built on a strong triggerplate round action. Elegant and lightweight, our round action has beautiful distinct lines and superb handling dynamics. 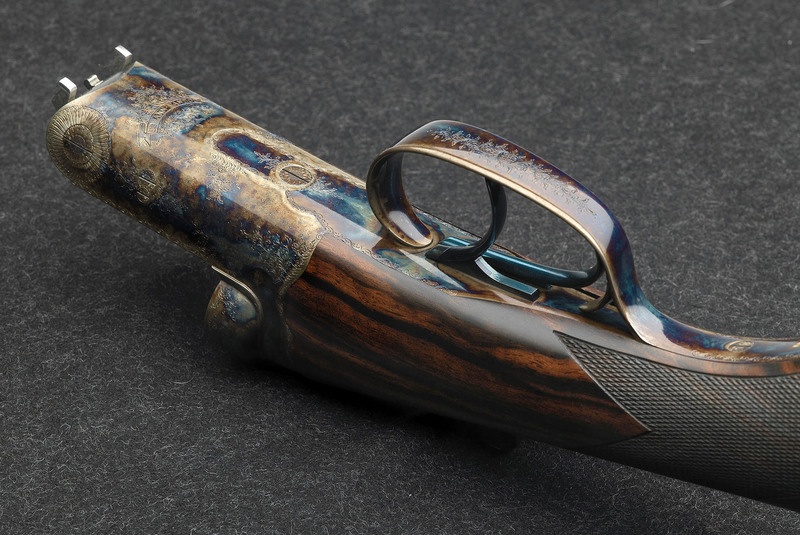 We believe there is a gap in the market when it comes to premium-quality rifles for driven hunts that can be fitted with an extra pair of shotgun barrels. 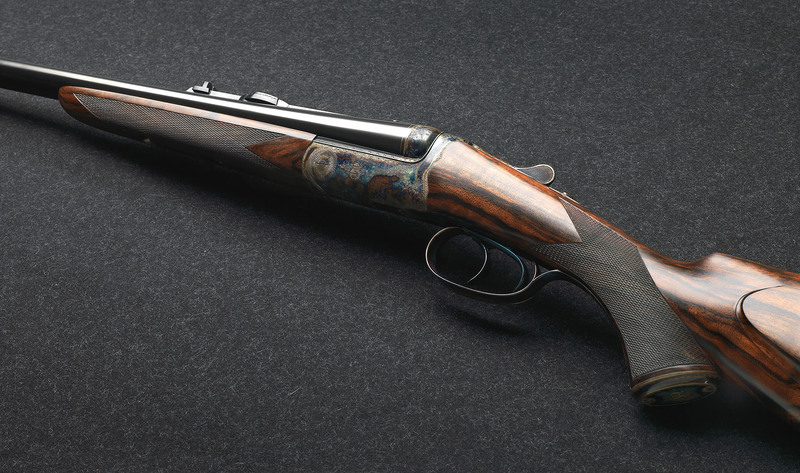 Our round action has the unique ability to become a full-fledged shotgun, with its mechanics, proportions, and balance designed to also suit a 20-gauge shotgun. While people generally think of side-by-side guns as either sidelocks or boxlocks, there is a third type: the Triggerplate Round Action. Compared to the others it is a smaller and more elegant mechanism, and although trim many consider it the strongest action of all. First introduced in Germany (by Meffert/Suhl) as early as the 1870s the credit for this mechanism goes to Scottish gunmakers for developing the idea further, eventually gaining worldwide recognition with it. 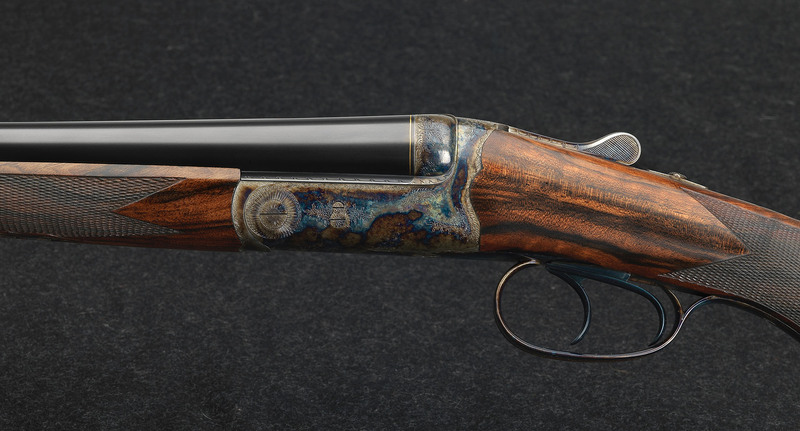 In fact, the early MacNaughton guns, as well as those later refined by Dickson from the late 1880s on, are still considered to be some of the most elegant-looking and finest-handling shotguns ever made. A triggerplate action is defined as one with its lock mechanism (hammers, sears, mainsprings, etc) mounted on the triggerplate, with all components placed on one center support-block integral with the trigger plate. Triggerplate actions can be made smaller in size than conventional boxlocks actions, and very nicely rounded, because the action body is virtually solid, and does not require slots or cavities for internal mechanical parts as does a boxlock. For this reason they are also considered stronger actions. 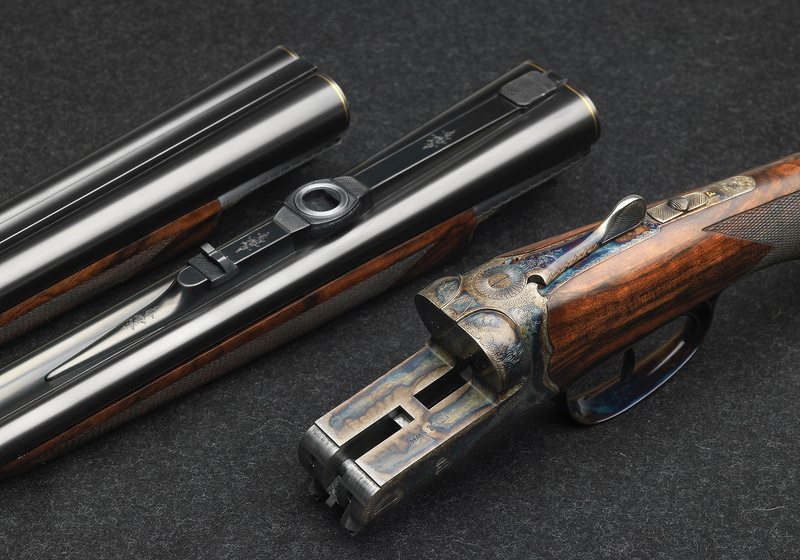 Second set of shotgun barrels in 20 gauge (or 20/76), with separate forend, length 71/74 cm (28/29inch).